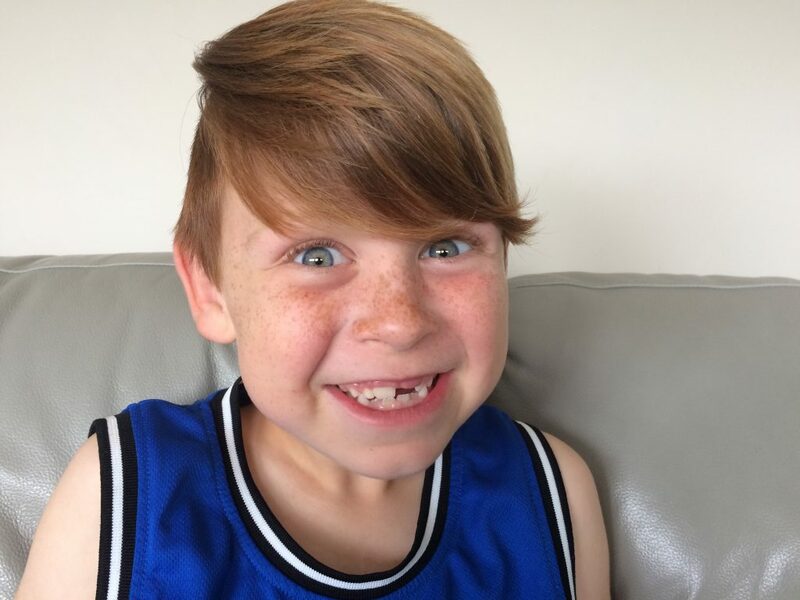 “Our journey began in 2006 when we became pregnant for the first time, and Tyler was born 2nd January 2007. He was a happy little man, and at six weeks old a paediatrician heard a heart murmur so referred us to Starship to have it checked out. We went when he was 10.5 weeks old, found out he had a few problems but nothing to worry about, “come back in three months, we will knock him out and measure these properly and go from there.” 10 days later, he died suddenly at home. His autopsy was inconclusive at the time as he didn’t tick any known boxes of diseases. It was decided it was a gene mutation and a 1 in 5 million chance of it happening again. A month later I found out I was pregnant again which was quite worrying but on the 1st January 2008 Kamdyn was born a healthy happy little girl. We decided to try again for another baby quickly as I got hyperemesis when I was pregnant, and as we were living with my mum she could help me out. But unfortunately this pregnancy ended unexpectedly at 10.5 weeks. In January 2009 we found out we were pregnant again, and on 15th October 2009, Corin was born. When he was two weeks old his big sister brought home a cold from kindy which saved his life. I rushed him to the doctor in the afternoon as when he was feeding he had gone blue. She took us into her room, asked how I felt, I burst into tears and said not confident, like it was back to haunt us, so she said go to hospital and have him checked out. This was a Thursday. We got admitted that night, exactly the same problems as his big brother, and he had his first open heart surgery on Tuesday morning. He sailed through his first surgery, despite pneumonia, we were home in 10 days, but then when we went back for his six week post op checkup, and we were devastated to find out the same thing had occurred again but further along his aorta. For two and a half months I took Corin for two days a week, for a day of monitoring to try get him to about four months old for another surgery. Things were very up and down through this time but we got him to his second surgery and he was a super star again, home in a week after another bovine patching of his aorta. This time our post op check was just four weeks, and to our horror, it was all back again. We were put on palliative care then, which was terrifying, we felt like we were just waiting for him to die really. But each month, he was still there, still battling on. Things again were very up and down, we did some preventative things that were less invasive, including stents in his aorta, which are still there now and holding, however sending him in for that cardiac catheter was terrifying as they were not sure he was coming back out. So we all said our goodbyes, but he came through like a champ. When he had his second surgery we did a genetic blood test and sent it to a lab in Italy, along with Tyler’s blood work, and we got pretty quick results which weren’t the best. Turned out our boys had a very rare genetic condition where they lacked enough elastin in the arteries and veins, therefore it caused them the grown closed, which is what happened to Tyler, his whole aorta closed shut. Every time Corin had a growth spurt it seemed to set his arteries off, so he now has stenosis of the aorta, pulmonary arteries, carotid arteries, renal arteries and his right femoral artery is completely blocked, but he has a natural bypass with his pelvic artery at this stage. This is a frustrating condition to have as there is no cure, no fix, no plan, we can only ever treat problems as they arrive, so often we have felt on top of things and then the harsh reality kicks in of oh no we don’t. The doctors always said if Corin would reach about five years old, his growth spurts would slow down and we would most likely have him here until he was a teenager, which is exactly what has happened, even though it felt like that would never happen. Corin has side effects of these problems, he is very hypertensive, so it’s taken us six years to get this under control but after working closely with his renal doctor, close monitoring by home-care nurses and cardiacs input this past month we feel like he is stable. He also has horrible side effects from some medication, so we have had to deal with some major anxiety issues, which firstly manifested in the inability to sleep, so until he was four he never slept longer than 40 minutes and the only way he slept was on myself or Jon his dad. As a result of early surgery Corin has terrible scar tissue in his oesphageous which means every day he is walking around breathing through a windpipe as small as a straw. This is obviously quite restrictive, so he has restrictions on some of his physical needs, like swimming – he isn’t able to follow the normal three strokes one breath sequence, he has to do two strokes and breath which seems like no big deal but if he changes to three he cannot sustain this for more than two cycles before he has to stand up and poor little shoulders go up and down furiously trying to get air.